Graduate of PDRS Family Mediation Training provides safe place for children to spend time with non-residential parents. When domestic violence occurs, there is no question that the children are being harmed. Not all are harmed physically, but every child is affected emotionally. Many children have experienced trauma from domestic violence in the home and find themselves in the middle of adult issues. When parents divorce or separate, visits with the children may become problematic especially when there are safety and/or abuse issues. Partnership’s Family Connections Supervised Visitation Center helps families go through difficult or transitional times while providing a safe way for children to spend time with the non-custodial parent without being put in the middle of conflict. Family Connections provides supervised visitation for children to visit with the non-custodial parent in a safe, home-like environment with the mission of fostering safe, healthy parenting opportunities. Tennesseans will be able to get free legal help online or in person at clinics near them. There will also be legal educational events across the state. The events will kick-off in the beginning of April and continue throughout the month. Attorneys have the opportunity to volunteer their time to assist disadvantaged Tennesseans at pro bono legal advice clinics and public service events all across the state. The primary goal of the public awareness campaign is to bring attention to the on-going need for free and low cost civil legal services in Tennessee and highlight the groups that provide these services to disadvantaged Tennesseans. For More Information, click HERE. PDRS will offer a free TN Parenting Plan Clinic for professionals working with divorcing and never-married parents on April 13 and a TN Parenting Plan Clinic for divorcing and never-married parents on April 14. Pre-registration is required. Contact us for more details. We will be offering the following courses through June 2018. All courses are approved continuing education for mediators, attorneys and other professions as requested. Professional’s Guide to Mediation and the TN Parenting Plan: Enhance your mediation and mediation advocacy skills through this 3-hour seminar for mediators, attorneys and other professionals who interact with divorcing and never-married parents relative to family dispute resolution and the concepts of shared parenting in Tennessee. Approved CME: 1.75 Gen / .25 Ethics / 1.0 Family Law or 3.0 Family Law | CLE: 1.75 Gen / 1.25 Dual. This course will be offered on the following dates. Mediation and the Special Circumstance of Domestic Violence: Participants will learn the dynamics of domestic violence, the basic skills to recognize abuser and victim behaviors and the techniques for dealing with issues of domestic violence in mediation and other professional settings. Participants will also examine the ethical and procedural implications of Tennessee law. 40-hour General Civil Mediation: This fast-paced 40-hour executive semester teaches the basic skills and techniques for practicing and/or participating in general civil mediation. You will learn the fundamentals of mediation and mediation advocacy; the concepts of mediation law; and the standards of conduct and ethics under Tennessee Supreme Court Rule 31. (Includes a Family to General Civil Cross-Over for Family mediators June 12-14.) Meets the requirements for TN Supreme Court Rule 31 Listing as well as the governing bodies for other states, as requested. Click here for more details on state requirements. 46-hour Family Mediation: This 46-hour comprehensive course teaches the knowledge and skills of to practice mediation relative to family and relationship conflict. Participants will learn mediation law and ethics as well as state rules, state statutes and local procedures and forms governing family mediation. Included are special ethical dilemmas arising in the family mediation context and the constraints attending the mediation of cases where a threat of domestic violence exists. Psychological issues in separation, divorce and family dynamics will be addressed in addition to issues concerning the needs of children in the context of divorce and family economics. Click here for more details on state requirements. Guide to Mediation and the Parenting Plan - Everything you wanted to know but were afraid to ask. Through the Tennessee Supreme Court Parenting Education and Mediation Fund, we are offering attorneys, TN Supreme Court Rule 31 Listed Family mediators, mediation advocates and other professionals who interact with divorcing and never-married parents a 3-hour workshop on the concepts of mediation according to TN Supreme Court Rule 31 and shared parenting – with a practicum on developing, reality-testing and modifying the TN Parenting Plan. 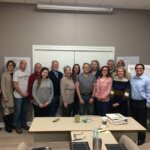 If you are a parent and would like to better understand the philosophy behind the TN Parenting Plan law regarding shared parenting and how to develop a parenting plan, we provide a hands-on workshop for filling out the Parenting Plan form to include resource referral to pro bono or reduced fee attorneys who can assist you. Space is limited – To enroll, contact us at contact@4pdrs.com or call (423) 266-4050.